I made the soda bread with 50 percent normal flour and 50 percent whole wheat. Next time I’ll try all whole wheat. The original recipe calls for only normal flour. 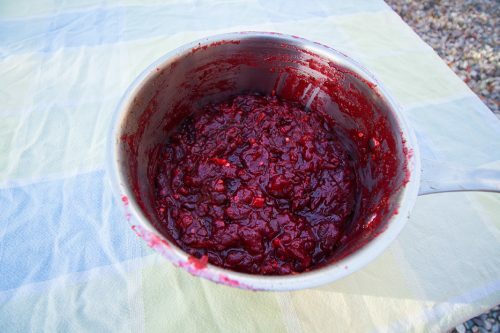 I added a little bit of extra sugar to my batch – gave the bread a slightly sweeter taste (Ferdinand [my au pair child] told me it tasted like cake, which I don’t agree with at all) that made it incredible with a spread of butter and honey. 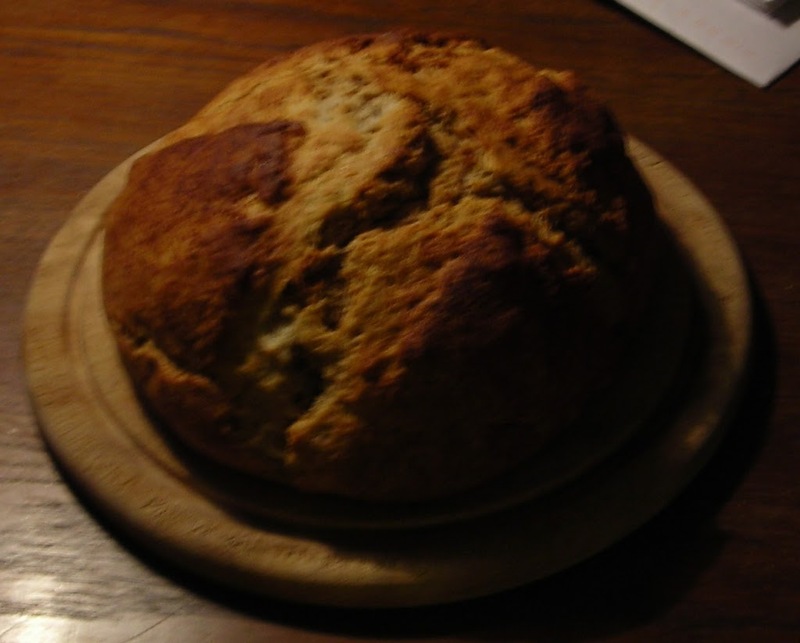 Irish Soda Bread belongs to the chemically-leavened bread group. 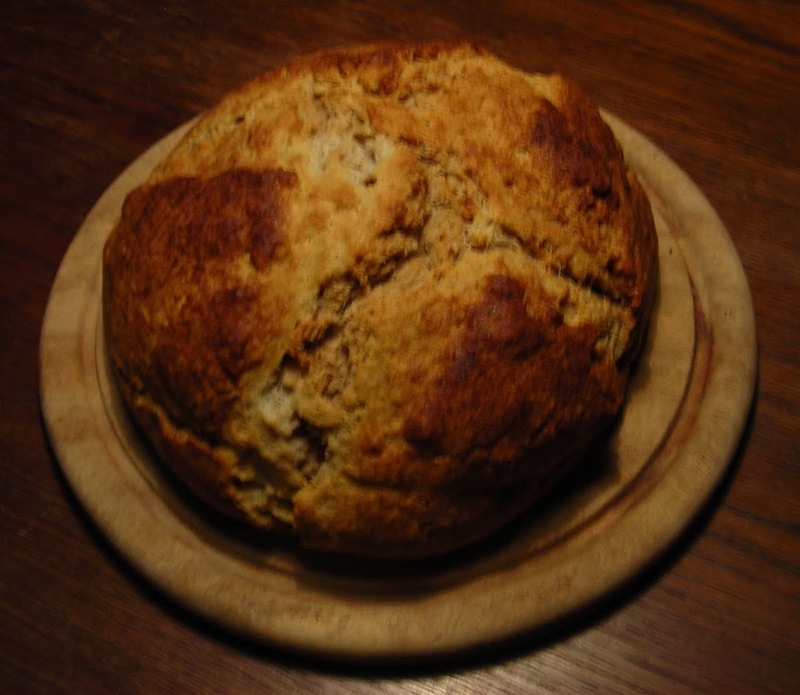 Instead of yeast, soda bread uses baking powder and baking soda. The dough has a liquid baste that should be applied to the top of the bread as the baker sees fit. I found it problematic to add the baste more than once or twice because of the lost heat of the oven. However, I think the basting helped develop the crust of the bread. The original recipe calls for a cook time of 45-50 minutes at 375° F/190° C. When the bread is formed into a big ball, the middle stays a little doughy while the crust begins to get a bit too cooked. I suggest decreasing the temperature and cooking the bread for longer. It’s done when a toothpick stuck into the middle comes out clean. 2. Mix together all the dry ingredients. Mix in the butter/margarine. Once the butter is mixed in, add the egg and buttermilk and mix well until a dough forms. Lightly flour a work surface and knead dough briefly. 3. 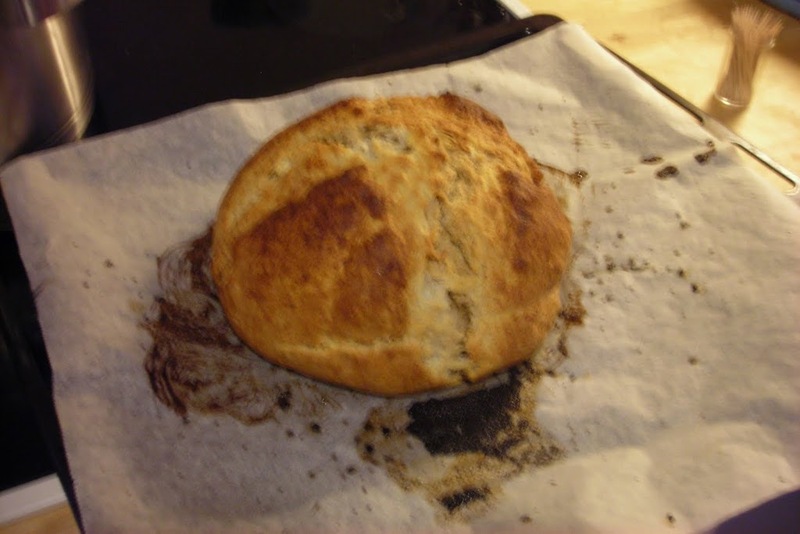 Form kneaded dough into a ball and put on a baking sheet prepared with baking paper. 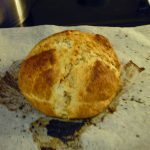 Mark an X on the top of the bread ball lightly with a knife or other sharp instrument. 4. Put part of the dough-baste on the dough ball and put in the oven.